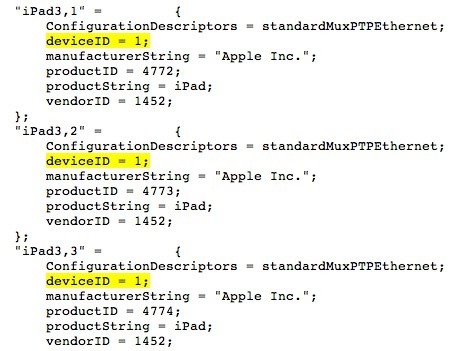 It shouldn’t come as a surprise that future Apple products are leaked early in developer builds of iOS. This time, the iPad 3 is again basking in the spotlight. Apple seeded the second beta of iOS 5.1 yesterday to developers. Apple as always left references in the file system of iOS for products which are to be released in the future. Things though turned out be a little different this time when devs started digging into iOS 5 beta 2, only to find out that Apple trolled everyone with many bogus references about future products lying in iOS, we even saw a reference to iPhone 6 in there, no kidding. TUAW took the liberty in doing their own research inside iOS 5.1 beta 2’s file system and found what they claim to be a true reference of the iPad 3. Apple threw a bunch of bogus references into iOS 5.1beta1, but that didn’t stop developers from uncovering references to real devices. In between the garbage, there’s a reference to the iPad 3. Each reference has a device id of 1, so we know it points to an actual device. Finding the iPad 3 isn’t all that surprising as we have seen similar references before. This discovery is just another piece of evidence that suggests Apple will start selling the tablet this spring. This is obviously not the first time that any reference of iPad 3 has popped up in the developer build of iOS. Similar references have been found in first build of iOS 5.1 too. There are a lot of things about the next iPad that are still unknown. If previous reports are to be followed; then the iPad 3 will boast a Retina Display like the one we’re acquainted to on the iPhone 4 and 4S, and a slightly thicker design. 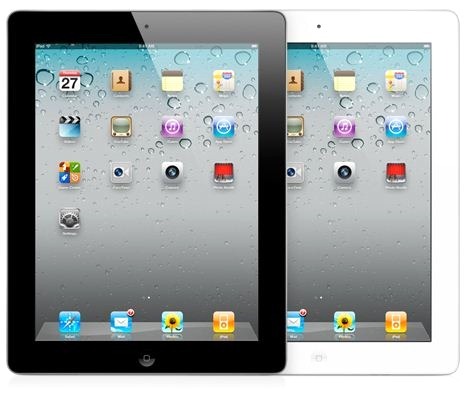 Details regarding the iPad 3’s camera and processor are yet to be known. A6 anyone? Apple always stick to their habit of making their succeeding product ‘thinner and lighter’, and its awkward to imagine why Apple’s next product would be thicker than the previous one. Maybe its just because that ‘Retina Display’ needs extra room inside the iPad 3’s enclosure? Who knows! Anything uttered out at this very moment would be a pure shot in the dark. If we follow Apple’s calendar, then we should see the iPad 3 in Spring, or as DigiTimes puts it; in the three to four months time frame.